Do you you suffer from allergies or have concerns about air quality in your home? It doesn’t matter what part of the United States you live in, allergens are everywhere. If you are not suffering from allergies in the spring, summer and fall, then many of you are impacted by not having enough moisture in the air during the winter months. Our family suffers from all of this at some point in the year and we also have the misfortune of living in a city that still has the nation’s highest levels of ozone and fine particle pollution. We are all smart enough to know that if the air outside is not healthy, chances are it is not the best inside the home either. We were excited and fortunate enough to be provided with the Venta Airwasher LW45 for review and it really seems to be an ideal solution for upgrading our indoor air quality. What is a Venta Airwasher LW45? The LW45 Airwasher is the top of the line large room humidifier and air purifier on the market, and has been engineered to capture more allergens and particulate matter than any other model, for areas up to 800 square feet. The Venta Airwasher offers a worldwide unique technology. The Airwasher works without filter pads. Dry indoor air is drawn into the appliance and passes through the disk stacks rotating in water. The air is literally washed. Impurities in the air, stale tobacco smoke, household dust, pollen and allergens are trapped in the water. Only clean, humidified air evaporates. The Venta Airwasher works on the principle of natural evaporation which is widely recognized as the best method of humidification. No ions, no ozone, no white dust; will not over-humidify. What is my take on the Venta Airwasher LW 45? I absolutely love it and was totally impressed. The Venta Airwasher LW45 comes in a fairly large box so it can be intimidating when it first arrives. Pay no attention to that. Set up is so simple and the actual machine is very light. I set it up without any assistance from my husband ( which is unusual for me) and I believe it took me less than 5 minutes to set it up. You simply fill it with tap water to the fill line, plug it in and walk away. It will both clean your air and humidify it to the perfect level. It will not over humidify. Just check back daily to make sure the water level is sufficient. It works with plain water and any water density (from soft to hard), so there is no need to buy distilled water. That is a big plus in my book. There are no expensive filters to purchase either. The water is essentially your filter. Dirty air is drawn in and literally washed through the disc stacks and only clean air is placed back into your home environment. I also love how quiet this machine is. You really don’t even know it is there. Whether you have it in a living room or the baby’s room, you will not have to worry about any noise distraction. The Venta Airwasher is energy-efficient and requires very little power. It is also easy to maintain and keep clean. We have been using the machine for several weeks now and I feel like I can tell the difference. I think there is less dust in our house and we have noticed a reduction of those annoying pet smells from our lovable pups. We are loving the clean air in our home and the reduction of irritant and allergy-causing dust and mold. I personally feel that my skin is more moisturized and feels healthier. My husband thinks that he is sleeping better at night and I know that he seems to be snoring less. HELLO…I am here to tell you that the machine is worth its weight in gold if that continues! We both will be getting a better night’s sleep. Most likely that is because we have reduced the allergens and improved the overall health and environmental balance in our home by using the Venta Airwasher. During the winter months when heating systems run nonstop in many of the cold weather states, the relative humidity of a home’s indoor can plummet to a harmfully low level (drier than Death Valley) for furniture and woodwork. For those of you with valuable wood furniture pieces or musical instruments, the Venta Airwasher can help protect those from those dry winter months. It will keep the humidification level in your home at the perfect setting. So…if you have issues with pet smells, allergens, incredibly dry air or a husband that snores like someone has cranked up a chainsaw in your bedroom, I suggest you purchase a Venta Airwasher or two for your home. Learn how you can join the Venta family here. If you want to learn more about Venta, check them out and follow them on their Social Media sites. Disclosure: The reviewer received product for this review. The opinions are completely my own based on my experience. Pam Buttikofer is a co-founder of Imperfect Women. She lives in Los Angeles with her husband of 38 years and enjoys spending time with her husband, sons and her lovable pups. I think this would help a lot with my son’s allergies and asthma. It will probably remove a lot of dust and dander from the air. This sounds great. My daughter has asthma and allergies, I bet this would help her. Thank you, Nicole! Now that the seasons are changing, we KNOW the Airwasher would help your daughter’s allergies and asthma. Why not start your free 14-day trial by calling us toll-free today-888-333-8218? You can also order through our website http://www.venta-airwasher.com. I do and sneezing is a common scene in my house every morning. This sounds like a great product. Venta Airwasher’s cold air evaporation technology traps pollen, dust, and dander and ensures that harmful irritants are not re-released into your home or office. Now that fall has arrived, give us a toll-free call at 888-333-8218. More information is available at our website (www.venta-airwasher.com) and don’t forget to Like us on Facebook! I would love one of these and we NEED one. I just wish that the contraption was not so big or fit better with the decor. That sort of thing drives my husband crazy. We would love to find a Venta Airwasher that fits your needs, Aimee! Our LW15 is only 10.2in X 11in X 12.2in and weighs under 7lbs. It runs so quietly, your husband will only notice the perfectly humidified and purified air, not the Airwasher itself. We would love for you to take the Airwasher out for a spin during a free 14-day trial! Call us toll-free at 888-333-8218 or visit our website (www.venta-airwasher.com) to start your trial today! My husband and I both suffer from allergies. Mine is mostly from pollen and pet dander (we have a cat.) This would help immensely. We suffer from allergies too and this would really help us. It helps to purify the air and remove toxins. We would love to help you, Jaimie! Our fur babies release dander and allergens into the air, but Venta’s cold water evaporation technology traps irritants within the Airwasher. Give us a call at 888-333-8218 and talk it over with one of our friendly Customer Service Representatives. You can get more information about Venta at our website: http://www.venta-airwasher.com and don’t forget to find us on Facebook and give us a Like! This is neat. I’ve never seen anything like it before. It would be perfect for my sons room in our basement, the air there could use some cleaning! Thanks, Jeanine! A Venta Airwasher would transform your son’s bedroom by helping to eliminate airborne dust mites, animal hair, and ambient odors. Give us a free 14-day test spin by calling us at 888-333-8218 or by visiting our website (www.venta-airwasher.com). We look forward to adding you to the #VentaFamily soon! We need this. I have the worst allergies and dust really bothers them. You definitely need a Venta Airwasher, Heather! 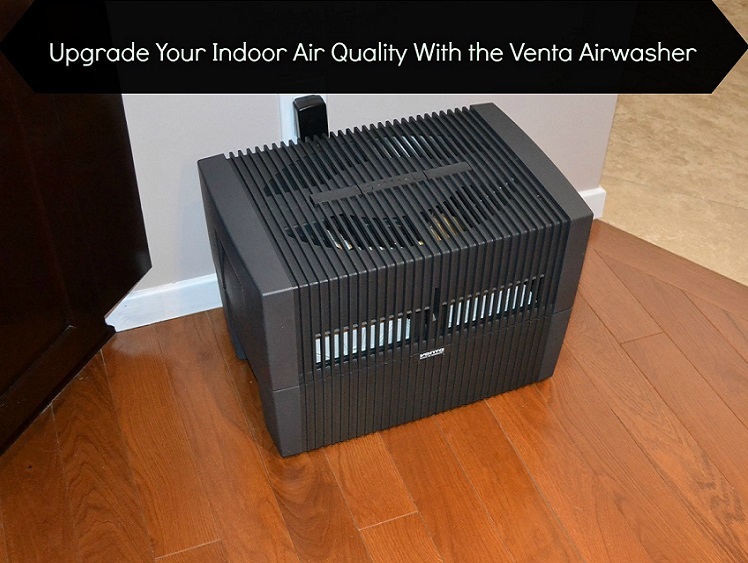 Venta’s air filtration system traps dust, pollen, and allergens without using pricey filters. Now that fall has arrived, give us a toll-free call at 888-333-8218 and start your free 14-day trial. More information is available at our website (www.venta-airwasher.com) and don’t forget to Like us on Facebook! This would help my kids a lot with their allergies. College apartments don’t tend to do much for air quality. 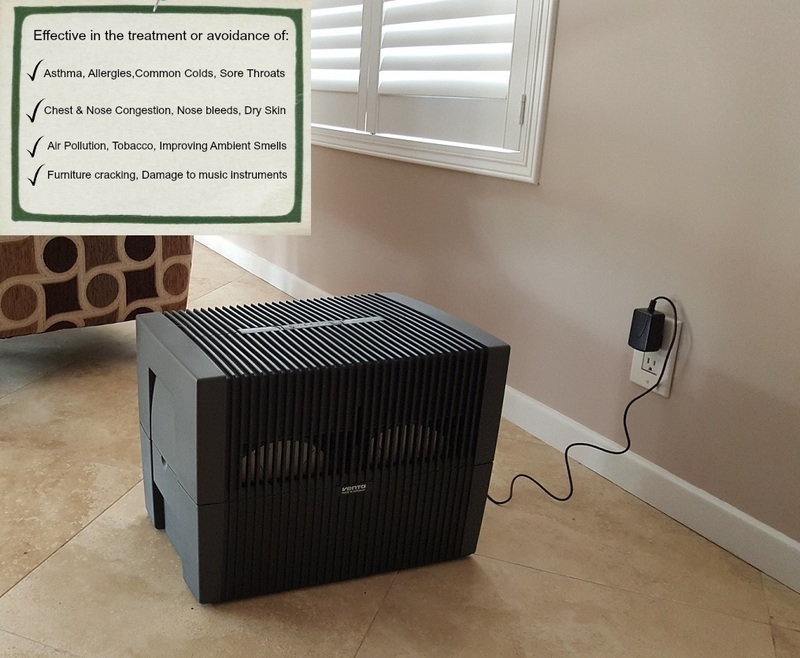 A Venta Airwasher would definitely help your kids with their allergies, Liz! The radiator heat in most college apartments creates a dry environment, leading to dry skin & nasal passages, irritated eyes, headaches, and reduced concentration. Give us a call toll-free at 888-333-8218 or visit our website (www.venta-airwasher.com). We look forward to adding your family’s success story to the rest of the Venta Family soon! This sounds like a great product. I need to get one for my home office. I have a lot of allergies so maybe it will help. Thanks, Catherine! Venta Airwasher’s perfectly humidified and purified air will make breathing easier for you, increasing your concentration and alertness in your home office. Give us a toll-free call at 888-333-8218 and start your free 14-day trial. More information is available at our website (www.venta-airwasher.com) and don’t forget to Like us on Facebook! We all have allergies in my family, so a good air purifier is needed. This one looks like it would be perfect for our family. It would be perfect, Pam! We would love to add you to the Venta Family, so give us a call on our toll-free number (888-333-8218) and chat up our friendly customer service team. More information about the Airwasher is available on our website (www.venta-airwasher.com) and don’t forget to Like us on Facebook for the latest offers and news! I could use one of these! I also like the sleek design of it! Thank you! Venta Airwashers’ German engineers were able to achieve a design so simple and sturdy without sacrificing features or performance. We hope you’ll give us a toll-free call at 888-333-8218 so we can answer any questions you have and get you set up with an Airwasher for this Fall and Winter. We look forward to speaking with you and welcoming you to the Venta Family soon! That sounds interesting. I like the idea of purifying the air. Thanks, Maureen! Venta Airwasher’s cold air evaporation technology ensures that harmful irritants are not re-released into your home or office. Give us a call at 888-333-8218 and talk it over with one of our friendly Customer Service Representatives. You can get more information about Venta at our website: http://www.venta-airwasher.com and don’t forget to find us on Facebook and give us a Like! This would be great for my daughter who suffers from allergies. We are so sorry your daughter suffers from allergies, Amber! Not only will a Venta Airwasher reduce her symptoms, but perfectly humidified and purified air will make breathing easier for your daughter, increasing her concentration and alertness. We would love to add you to the Venta Family, so give us a call on our toll-free number (888-333-8218) and chat up our friendly customer service team. More information about the Airwasher is available on our website (www.venta-airwasher.com) and don’t forget to Like us on Facebook for the latest offers and news! I think we need to look into this. It would make a big difference. 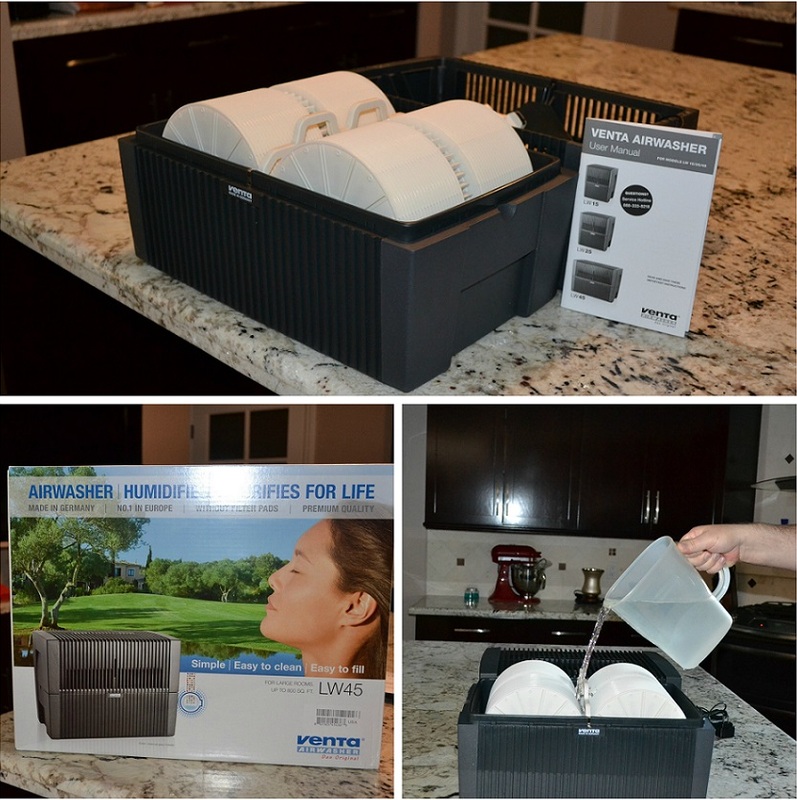 There are so many ways a Venta Airwasher will make a difference in your life, Lois! It minimizes allergy symptoms, moisturizes dry skin & nasal passages, & improves indoor air quality. Experience the difference yourself by taking the Airwasher out for a spin during a free 14-day trial! Call us toll-free at 888-333-8218 or visit our website (www.venta-airwasher.com) to start your trial today! I need this for my son’s room! He struggles when the air gets super dry and it makes him have nosebleeds at night. I’ve been looking for a way to add moisture to the air and this looks like it would be a perfect solution! O no, Jeannette! It sounds like your little guy could benefit from our LW15. Give us a call at 888-333-8218 and talk it over with one of our friendly Customer Service Representatives. You can get more information about Venta at our website: http://www.venta-airwasher.com and don’t forget to find us on Facebook and give us a Like! I would love an air purifier. That one looks wonderful. Thank you, Tess! Venta Airwashers’ German engineers were able to achieve a design so simple and sturdy without sacrificing features or performance. We would love for you to take the Airwasher out for a spin during a free 14-day trial! Call us toll-free at 888-333-8218 or visit our website (www.venta-airwasher.com) to start your trial today! I had not heard of a purifier/humidifier in one. I do have terrible allergies so this might be a help. Thanks for sharing your experience. Hi Traci! 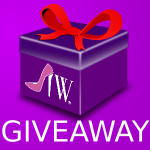 #TeamVenta is so happy to work with Imperfect Women to help us get the word out about our Airwashers! We are #1 in Europe and are working to be #1 in the US. We would love to add you to the Venta Family, so give us a call on our toll-free number (888-333-8218) and chat up our friendly customer service team. More information about the Airwasher is available on our website (www.venta-airwasher.com) and don’t forget to Like us on Facebook for the latest offers and news! We live in an older house and they tend to generate dust quite a bit. This looks like an ideal option for clearing the air and dusty parts. Sounds like you need a Venta Airwasher, Eliz! Older houses are beautiful, but air with low humidity dries out your original wood accents, causing them to crack and warp during the winter heating season. Give us a toll-free call at 888-333-8218 before the cold weather sets in and start your free 14-day trial. More information is available at our website (www.venta-airwasher.com) and don’t forget to Like us on Facebook! We have a dog in our family, so I’d love something like this to clean the air and freshen things up a bit! We would love to add you to the Venta Family, Cathy! Our furry friends release dander and allergens into the air, but Venta’s cold water evaporation technology traps irritants within the Airwasher. Give us a call at 888-333-8218 and talk it over with one of our friendly Customer Service Representatives. You can get more information about Venta at our website: http://www.venta-airwasher.com and don’t forget to find us on Facebook and give us a Like! Ohh this sounds amazing what a great idea, I suffer with a few allergies I wonder if this would help. Now that it’s October, #TeamVenta can’t live without their Airwashers! We KNOW the Airwasher would help you too, Sarah. Why not start your free 14-day trial by calling us toll-free today-888-333-8218? You can also order through our website http://www.venta-airwasher.com. We use purifier in every room. I imagine this is heavenly! Thanks, Priscilla! Turn your home into a little piece of heaven by taking the Airwasher out for a spin during the free 14-day trial! Call us toll-free at 888-333-8218 or visit our website (www.venta-airwasher.com) to start your trial today! This sounds awesome. My son and I suffer from terrible allergies and they are acting up a bunch right now. I know there’s something in the air. I’m sure that this would wash it right out. You are correct, April! Venta is proud to offer airwashing without inconvenient filters. We would love to add you to the Venta Family, so give us a call on our toll-free number (888-333-8218) and chat up our friendly customer service team. More information about the Airwasher is available on our website (www.venta-airwasher.com) and don’t forget to Like us on Facebook for the latest offers and news! On summer days that the air feels so sticky and my allergies start acting up, this can come in handy. I bought one, but it didn’t help I might check this one out because clear air is necessary. Clean air is definitely a necessity, Sacha! 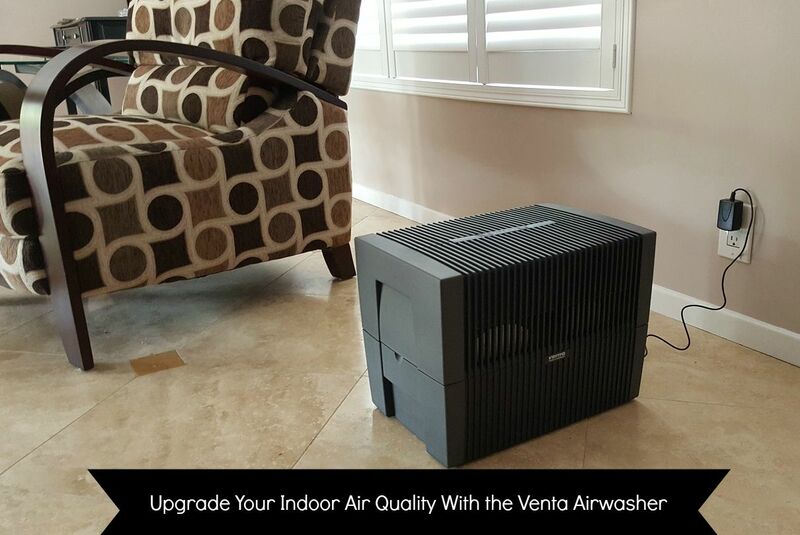 Venta’s air filtration system traps dust, pollen, and allergens without using pricey filters. Give us a toll-free call at 888-333-8218 to chat with one of our friendly Venta Team members. More information is available at our website (www.venta-airwasher.com) and don’t forget to Like us on Facebook! I need this for my house. I have two long haired cats at home. My daughter has asthma so this would be helpful for her. We agree, Ann! The perfectly humidified and purified air provided by a Venta Airwasher would help your daughter breath easier. We would love for you to take the Airwasher out for a spin during a free 14-day trial! Call us toll-free at 888-333-8218 or visit our website (www.venta-airwasher.com) to start your trial today! Yes! I need this! I get bronchitis when the air is so bad! Oh gosh! I’m going to look into this. O no, Lexie! Busy ladies like us cannot be slowed down by bronchitis! Filling your home with perfectly humidified and purified air will make it easier to breathe and reduce your symptoms. Give us a call on our toll-free number (888-333-8218) and chat up our friendly customer service team. More information about the Airwasher is available on our website (www.venta-airwasher.com) and don’t forget to Like us on Facebook for the latest offers and news! This is an interesting product – we could use this in our home in Texas – the air is so bad! Thanks, Heather! Dry winters in Texas can cause sore throats, nose bleeds, itchy eyes, dry skin, and chapped lips. Avoid these irritations by giving us a toll-free call at 888-333-8218 to start your free 14-day trial. More information is available at our website (www.venta-airwasher.com) and don’t forget to Like us on Facebook! We don’t have this but I feel it would be awesome to have one. Seems like a very interesting and worth it product. It would be AWESOME if you joined the Venta Family, Aisha! Give us a call at 888-333-8218 and talk it over with one of our friendly Customer Service Representatives. You can get more information about Venta at our website: http://www.venta-airwasher.com and don’t forget to find us on Facebook and give us a Like! This looks like a very interesting product. I have never of them before. My husband suffers from dust allergy and I think the Venta airwasher would be great for him. We are so sorry that your husband has to suffer from a dust allergy, Babita. We know the Venta Airwasher would help alleviate some of his symptoms, and we would love to help him! Give us a call toll-free at 888-333-8218 or visit our website (www.venta-airwasher.com). We look forward to adding your family’s success story to the rest of the Venta Family soon! I recently read about an air washer somewhere else. I have been meaning to look into it because I like the idea of being able to improve air quality inside. We’re not surprised that you’ve heard of us, Melanie! Members of the Venta Family are always sharing the countless benefits they experience with our Airwashers. Give us a call at 888-333-8218 and talk it over with one of our friendly Customer Service Representatives. You can get more information about Venta at our website: http://www.venta-airwasher.com and don’t forget to find us on Facebook and give us a Like! With a house filled with allergy sufferers, this is a need not a want! I think this could make a huge difference in our lives! You are correct, Fariha! #TeamVenta won’t live without their Airwashers, and we KNOW the Airwasher would help your family too. Why not start your free 14-day trial by calling one of our friendly Customer Service Representatives toll-free today-888-333-8218? You can also order through our website http://www.venta-airwasher.com. That sounds like an amazing air washer/purifier. We don’t really suffer from smog much here in Colorado where I live but I do suffer with allergies especially in the Spring/Fall so something like this would be perfect for me! Great review, I’m on my way now to check them out! Thank you, Amanda! Now that the seasons are changing, we KNOW the Airwasher would help with your seasonal allergies. Why not start your free 14-day trial by calling us toll-free today-888-333-8218? You can also order through our website http://www.venta-airwasher.com. Great review! Going to look into this some more; we have allergies and pets so it would be a great idea! We couldn’t agree more, Stephanie! Start your free 14-day trial by calling us toll-free at 888-333-8218 or visiting our website (www.venta-airwasher.com). Like us on Facebook for news and special offers. This is Jenny, Marketing Associate with Venta Airwasher. On behalf of Team Venta, I want to say how grateful we are for this wonderful review from Imperfect Women and all of the overwhelmingly positive reviews we have been receiving from American consumers. We love helping people and have been the problem solver for the past 30 years. We look forward to introducing everyone in the U.S. to the Airwasher and to perfect indoor air. Any Imperfect Women readers who have questions, please feel free to call our toll-free customer service line at 888-333-8218 and chat with one of our friendly Venta Team members! I would like to try this system out. I liked your review, and this makes it much easier to make a decision.